Customer Service Excellence for Third Consecutive Year. 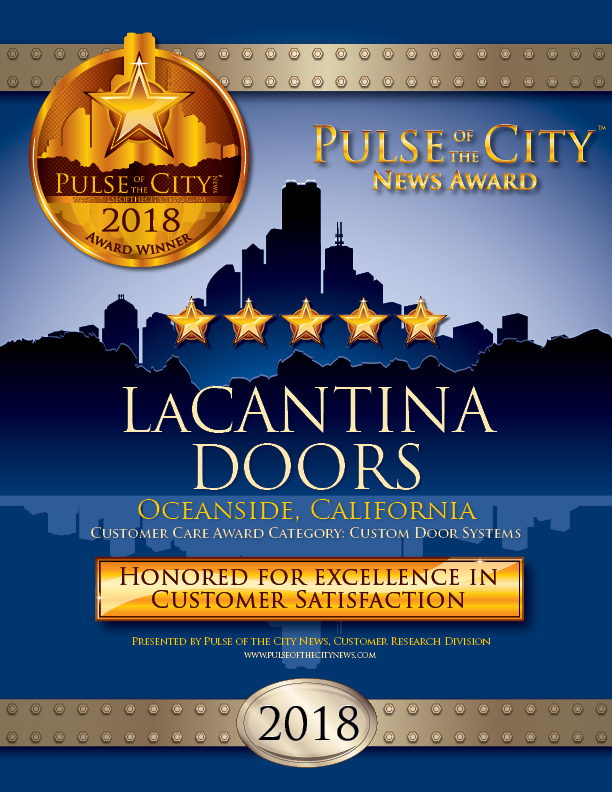 San Diego, California – (April 19, 2018) – LaCantina Doors (LaCantina) earns the prestigious Pulse of the City News Customer Satisfaction Award for the third consecutive year, with a five out of five-star rating. Based on unbiased annual research – independent of industry participants to insure objectivity – the award identifies companies in the building and construction trades that provide an excellent customer experience and honors them with the Pulse of the City News Award. The Pulse of the City News research team analyzes research and information gathered from many sources, including online business and consumer user-review websites, blogs, social media, business-rating services, and other credible sources, and determines a yearly rating for each company. Companies that receive the highest possible rating of four to five stars earn the Pulse Award. As the preeminent brand of large operable door and window systems, LaCantina pushes design innovation and offers best-in-class products that enhance the beauty and functionality of homes, commercial spaces, and their customers’ lifestyles. Their open-space products are known for contemporary and clean aesthetics, smooth and effortless operation, energy efficient performance, high quality fit and finish, and attention to detail that provides unmatched value. In addition to continued product development, LaCantina invests attention to detail in their staff development, which is essential to exceeding the industry standard for customer service. Training can include time on the production floor, learning the product manufacturing process and on-site education understanding the elements of a successful installation. Customer service representatives also engage in field training through a ride along with service technicians to further their knowledge base. All employees are cross trained to ensure everyone understands how the company runs. 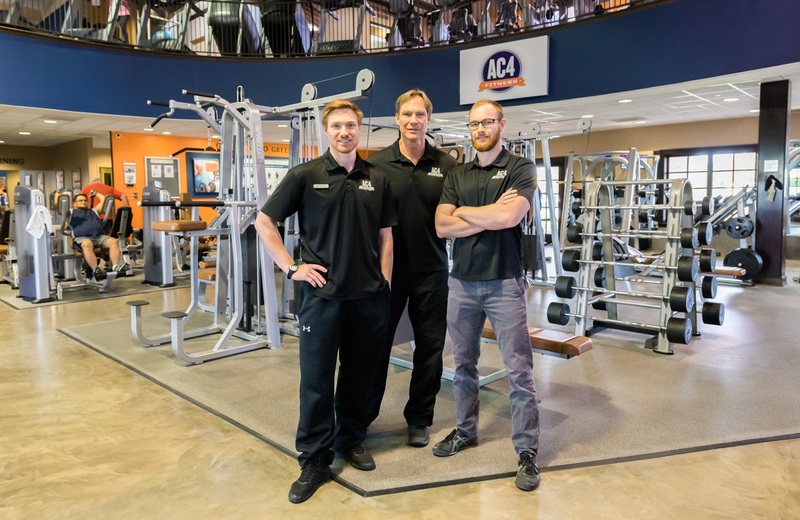 “Excellent customer service entails providing the highest quality representatives to act with compassion and work with the customers toward a positive outcome,” noted Lee Maughan, VP and General Manager, LaCantina. Quality service also extends to LaCantina’s service warranty. They provide best-in-class, expert advice and knowledge about the product with their ‘first contact solutions’ strategy. “If something goes wrong, LaCantina has a dedicated team of representatives with years of experience available to immediately troubleshoot issues until resolution” reports John Costello, Director of Customer Service, LaCantina. The result of LaCantina’s quality products and services is an award-winning company, year-over-year, recognized as best-of/top-product/most-preferred by industry leaders according to Todd Corey, CBN Awards Coordinator. 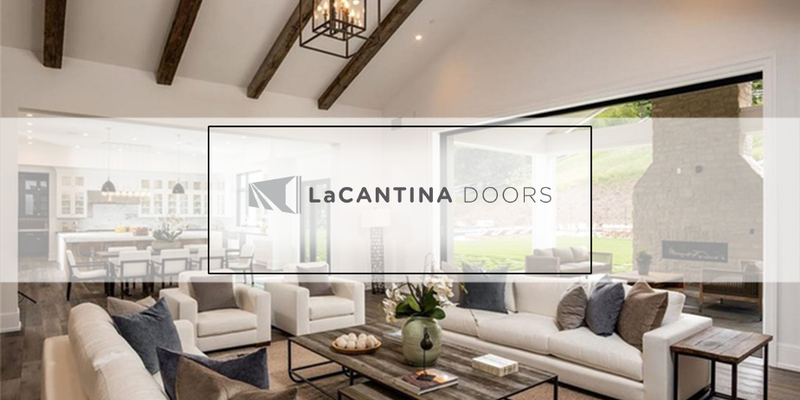 Designed and made in California, LaCantina Doors have contributed to award-winning projects ranging from residential, retail, commercial, educational facilities, resorts and is the preferred choice when it comes to products that open spaces. Backed by an industry leading warranty, LaCantina Doors are available across the U.S. and Internationally. For more information on LaCantina Doors, please visit www.lacantinadoors.com. Pulse of the City News dedicates itself to advancing excellence in customer service throughout the building and construction industry by conducting research on customer experience on a rolling basis, using a balanced proprietary measurement methodology. Ratings are reviewed and published annually online. For more information about Pulse of the City News, call 866.732.9500 or log onto www.pulseofthecitynews.com.